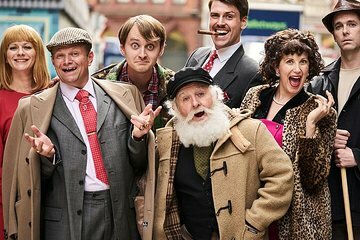 Watch one of Britain’s favorite television sitcoms come to life in London’s West End with this ‘Only Fools and Horses: The Musical’ ticket at the Theatre Royal Haymarket. Follow the adventures of hapless Peckham brothers Del Boy and Rodney, with a glittering cast including Grandad, Raquel, and of course Trigger—and plenty of affectionate nods to the original TV show. Choose a superior seat for the best stage views.